 The Central Ohio Chapter of the National Hemophilia Foundation doesn’t get involved in “research” as it’s usually defined. Instead, we financially support the research efforts of our national parent, NHF. The following refers to NHF’s research initiatives (and is taken from their web site). 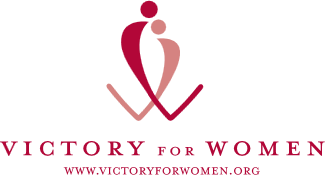 NHF funds a broad range of research. Funds raised under NHF’s It’s Time for a Cure campaign are used to provide Career Development Awards for projects that would yield scientific information contributing to a cure for bleeding disorders such as hemophilia and von Willebrand disease. Areas of investigation may include, but are not limited to, gene therapy. Studies may be carried out at the subcellular, cellular, animal, or patient level. NHF has also fostered bleeding disorders research by awarding Judith Graham Pool Postdoctoral Research Fellowships to physicians and scientists embarking on research careers. The National Hemophilia Foundation Clinical Fellowship Program, funded through the generous support of Baxter BioScience, is intended to increase the number of skilled clinicians committed to providing comprehensive care for individuals with bleeding and clotting disorders and to prepare candidates for academic careers. The program is designed for licensed physicians who are seeking hands-on training in bleeding and clotting disorders care and research. Training will take place in qualified hemophilia/thrombophilia treatment centers in the United States. NHF’s Nursing Excellence, Social Work Excellence and Physical Therapy Excellence Fellowships provide support to practitioners to conduct research or clinical projects in the field of bleeding disorders. In 1954, the National Hemophilia Foundation formed a medical advisory council to advance clinical care and promote hemophilia research. Now known as the Medical and Scientific Advisory Council (MASAC), this body establishes quality of care guidelines for the treatment of hemophilia and other bleeding disorders. Issued in the form of recommendations, MASAC guidelines set the standard of care around the world and are referred to by an international array of physicians, medical schools, pharmacists, emergency room personnel, insurance companies and others. The scientists, physicians and other treatment professionals who comprise MASAC are internationally regarded as experts in the broad field of bleeding disorders research and care, AIDS, hepatitis, other infectious diseases and blood safety. MASAC meets twice a year to issue its recommendations, which are then approved by NHF’s Board of Directors. MASAC recommendations are posted on NHF’s Web site, are available to callers through NHF’s information clearinghouse (800-42-HANDI or handi@hemophilia.org), and are published in NHF’sHemAware magazine. One of the major challenges facing scientists who work on rare disorders, such as hemophilia, is lack of uniform health data. To address this issue and to advance health research, CDC created a national public health surveillance project called the Universal Data Collection (UDC) system. UDC is carried out with the help of federally funded hemophilia treatment centers (HTCs) in the United States and its territories.Since the system began in 1998, about 24,000 people with bleeding disorders have contributed their health data by participating in the UDC program. More than 80% of all people with hemophilia who receive care at HTCs participate. Need to conserve and consolidate scarce resources. You may be wondering what is the difference between the UDC and ATHN projects. With the UDC, the CDC’s congressional mandate is focused on public health research and surveillance. ATHN was formed to identify and develop resources to promote a broader range of clinical studies that are outside the scope of the CDC Congressional mandate. Many of the questions likely to be asked of the ATHN database relate to clinical outcomes, advocacy, best practices and new treatment modalities.